Under Armour and GORE-TEX® have designed a lethal combination that helps hunters defeat the elements of the wild with their exclusive UA GORE-TEX® Pro Series, available in the Ridge Reaper Barren camouflage. The UA GORE-TEX® Pro Series provides a warm, windproof and waterproof barrier by combining Under Armour’s Storm3 technology featuring GORE-TEX’s 3 Layer and Windstopper systems. Under Armour’s Storm3 material is soft and undetectable, and most importantly, 100% windproof and waterproof. 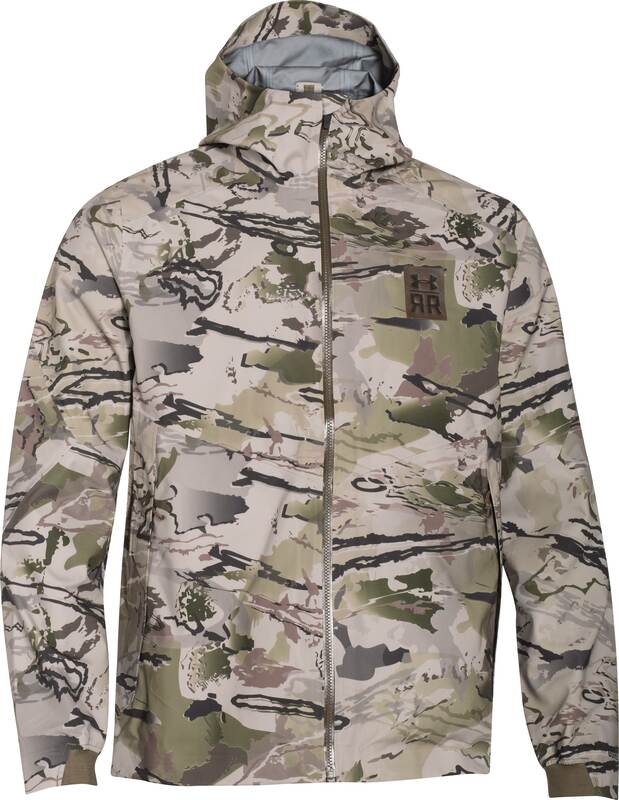 Combine these superior apparel features with the game-changing Ridge Reaper Barren camo and you have a winning combination that keeps you wildly dry and undetected in the most extreme conditions. For more information on the GORE-TEX Pro Series and the complete selection of Under Armour performance apparel, footwear and accessories, please visit UA.com. For all media-related inquires, please contact Eddie Stevenson of Driftwood Media at eddie@driftwoodmediacom.com. When Mother Nature steps in and the temperatures begin to drop, you need peak performance apparel that can take on the changing elements. Innovative, warm and reliable, the UA ColdGear® Infrared Armour Fleece collection will keep you quiet and protected in the field. The Armour Fleece collection is renowned for keeping you undetected with UA’s innovative Scent Control; but new for 2015, Under Armour has taken this line to the next level by adding the ever-popular ColdGear Infrared technology. Now you can stay warmer longer, while also hindering your prey’s ability to detect you in the wild. Armour Fleece integrates a 100% Polyester Silent Shell with dynamic fleece fabrics that guarantee a full range of motion and silence for in-close hunting encounters. 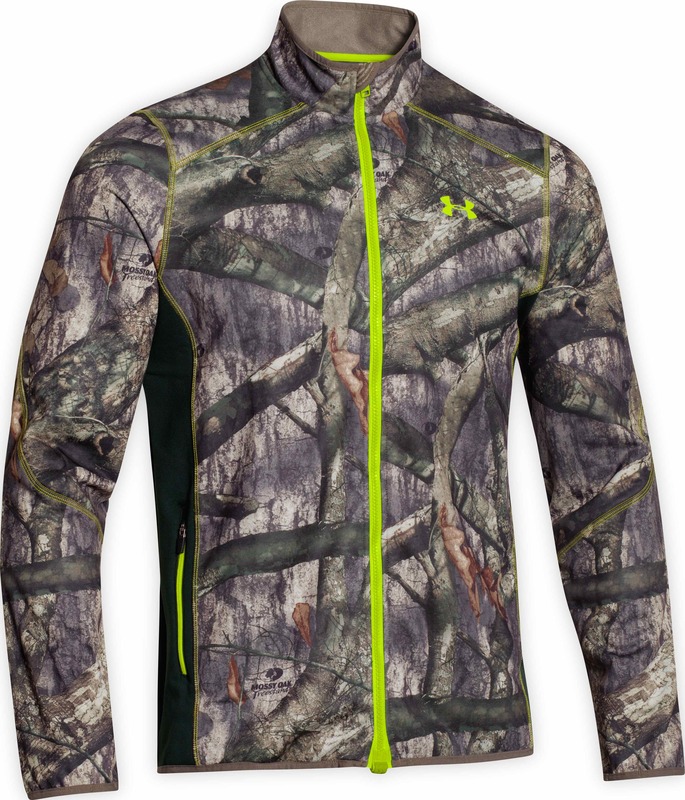 Stay warm, keep quiet, and increase your odds this year with UA’s Armour Fleece collection. For more information on the UA Armour Fleece collection and the complete selection of Under Armour performance apparel, footwear and accessories, please visit UA.com. The event will feature three days of dynamic shooting in evenly weighted shooting disciplines, ranging from pistol, rifle, shotgun and combined arm segments. All firearms and ammunition will be provided for each competitor, thus shooters will compete with common firearms and ammunition…leveling the playing field like never before. Georgia Optics, OTIS Technology, FNH USA, Daniel Defense, Armalite, Kimber, Grey Ghost Precision, IWI, Ruger, Brownells, Mega Arms, Weatherby, GEMTECH, ZEV Technologies, Mossberg, Hodge Defense Systems, National Vendor Management Systems, MOD ONE Firearms, First Light USA, Uber Group, Atlanta Arms, Black Hills Ammunition, Winchester Ammunition, Rio Ammunition, Commonwealth Ordnance, Wiley X, Gamaliel Shooting Supply, Reaper Solutions, Hornady Ammunition and BAE Systems. Backcountry hunters are a tough breed and have to be in “Sheep Shape.” Near vertical rises and rough rugged terrain demand rock-solid footwear. 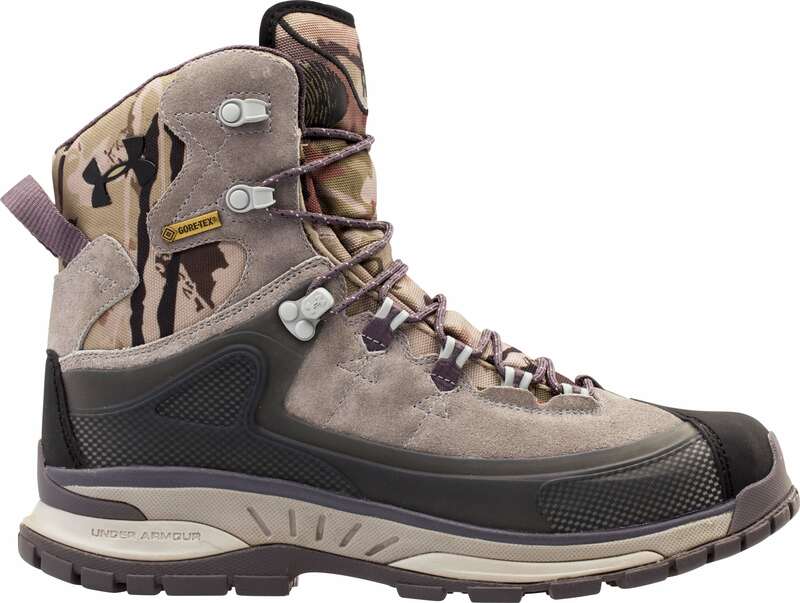 New for 2015, the UA Ridge Reaper Elevation and Ridge Reaper Extreme boots are designed to maximize durability and comfort in the harshest and most extreme environments. Under Armour has integrated the most innovative technology and design features for this year’s footwear. Integrating GORE-TEX® breathability, Cupron® anti-bacterial sockliner capabilities, and Ortholite® and Poron® heel cradles and crash pads, these are the most resilient and resourceful boots designed by Under Armour. Simply put, if you’re in the market for a new pair of boots for uncompromising situations, look no further than the Ridge Reaper Extreme and Ridge Reaper Elevation Boots from Under Armour. 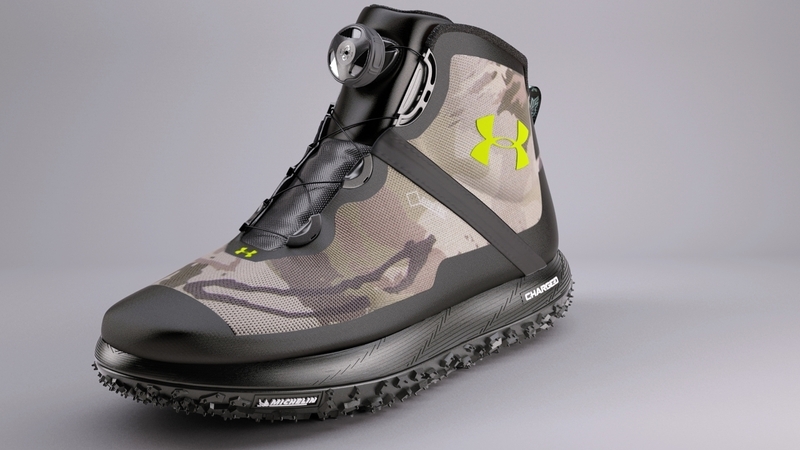 The Ridge Reaper® Elevation and Extreme boots are now available at UA.com. 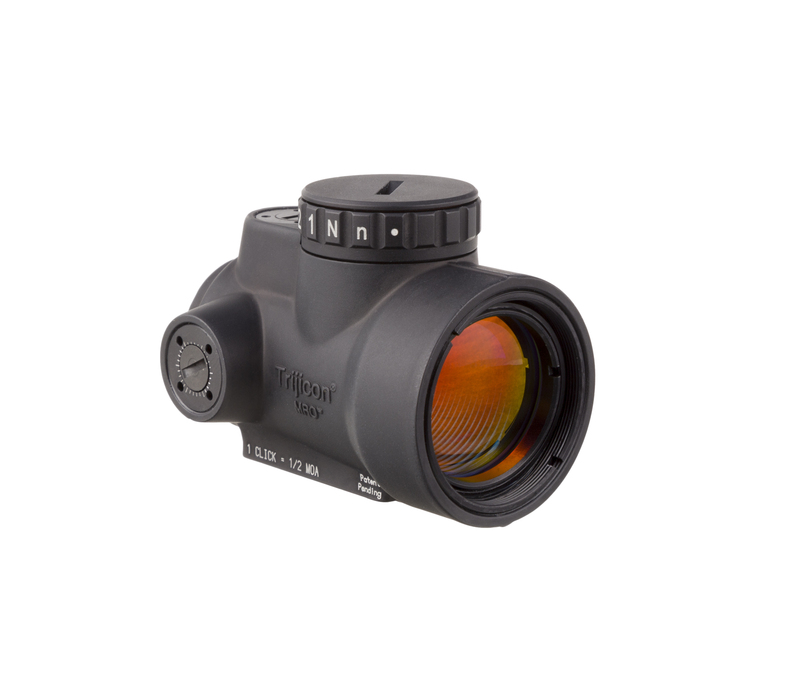 Wixom, Mich. — Trijicon® takes the science of the red dot sight to the next level with the Trijicon Miniature Rifle Optic or MRO™, a red-dot sight tough enough for combat, the mean streets of law enforcement, competition shooting or hunting in the harshest of environments. Light and rugged, the Trijicon MRO mounts easily, zeros quickly and adapts to almost any shooting scenario. With its large objective lens and shortened optical length, the MRO virtually eliminates the “tunnel vision” or tube-effect common to so many red dot sights. The 2 MOA dot is bright and crisp, and is perfectly sized for fast target acquisition at CQB distance out to extended ranges. The MRO features eight brightness settings, including two that are night vision compatible, plus one extremely bright setting for use with lights or in very bright outdoor conditions. And, it gets an amazing five (5) years of continuous use on a single 2032 battery! Half-minute adjustments with 70 MOA total travel allow for zeroing in most any configuration on a variety of platforms. What’s more, no special tools are required—windage and elevation adjustments can be made even with the rim of a 5.56mm casing. The brightness control atop is ambidextrous, so your shooting hand need not leave the fire control area. The MRO is parallax free, with infinite eye relief for quick and accurate engagement no matter your position. Trijicon engineers built—and tested—the MRO to operate in temperatures ranging from -60F to +160F. Waterproof to 100 feet, chemical and corrosion resistant, and housed in 7075-T6 Aluminum, the MRO can withstand the rigors of combat, sub-zero mornings on an ice-encrusted hunting stand or bouncing between stages during a competitive shooting event. The MRO. A compact and rugged aiming solution, perfect for real-world operators who need to get the job done—fast and accurately. 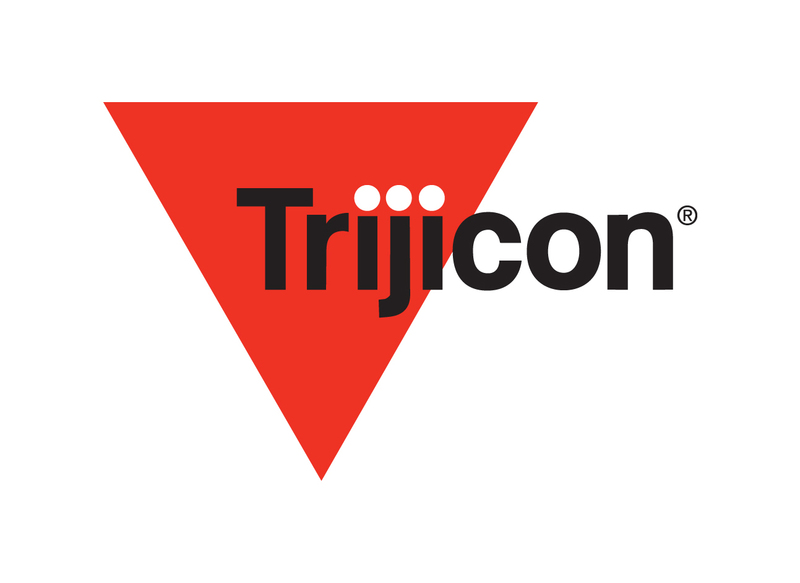 For more information on the Trijicon MRO and the complete array of Brilliant Aiming Solutions™ for the military and law enforcement markets, contact Trijicon, Inc. at (248) 960-7700 or visit www.trijicon.com.